Preheat oven to 400°F. Arrange the diced potatoes on a rimmed baking sheet. Drizzle with 2 tablespoons oil and sprinkle with cumin, chili powder and a good pinch of salt and pepper. Toss and roast for 20 minutes. Once roasted, lower the heat to 375°F. Cook the quinoa in boiling water until they pop into little spirals, about 15 minutes. Drain. 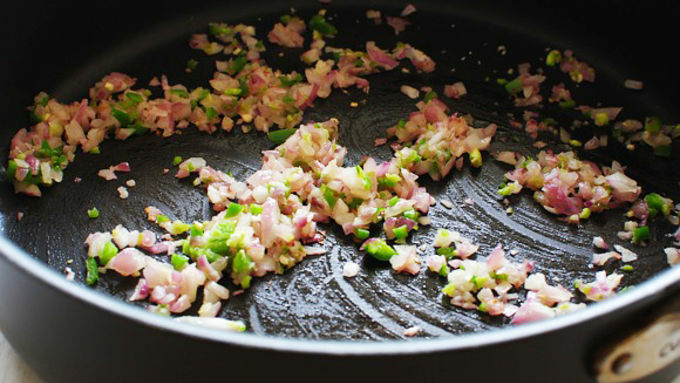 Heat the remaining 2 tablespoons oil in a large skillet over medium-high. Add the onions and sauté until they start to soften, about 4 minutes. Add the jalapeno and garlic; sauté another minute, until fragrant. Add the black beans and frozen corn; cook for 5 minutes, until warmed. 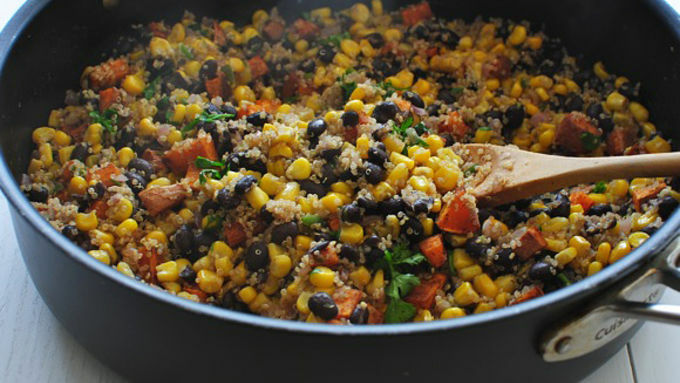 Add the roasted sweet potatoes, cooked quinoa, lime juice, cilantro leaves, and a good pinch of salt and pepper. Stuff the mixture into each pepper half, and sprinkle the cheese on top. 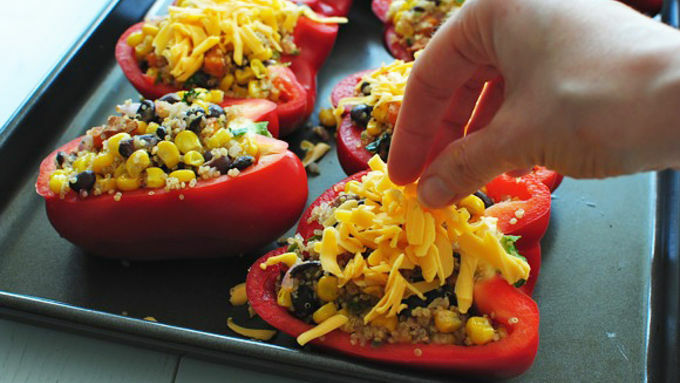 Bake for 30 minutes, or until the peppers have softened, and the cheese is melted and starting to bubble. 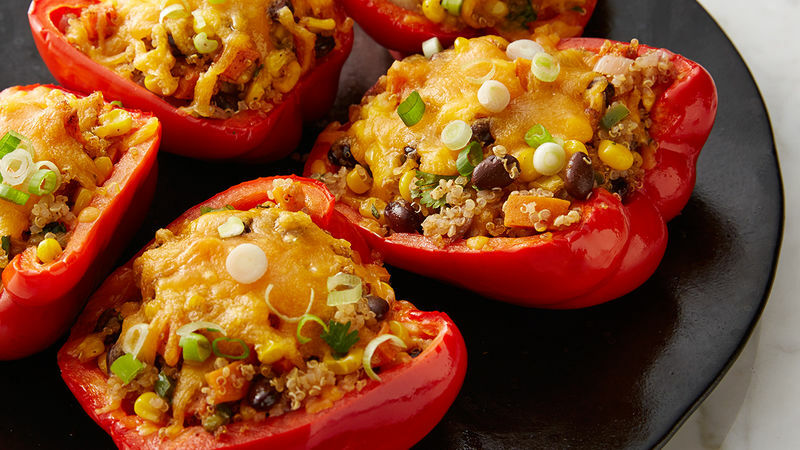 If you love Mexican-inspired flavors and easy to make dinners, then these Black Bean, Corn, and Quinoa Stuffed Peppers are just the meal for you. 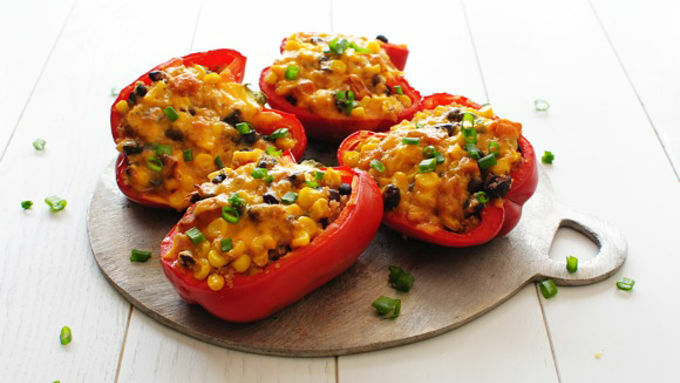 I LOVE stuffed bell peppers. LOVE them. I believe that anything stuffed with something else is just grand. And because I'm such a Mexican food freakotron, stuffing one semi-Mexican food item with a whole bunch of other Mexican-inspired food items is just, well, almost too much. But in a good way. Let's get stuffed! Can you fit your face in that? Yes, yes you can. And you should. Get stuffed!